Watch this church greeter video case study and then add your comments to the field below. 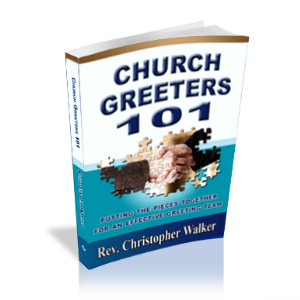 How can you prepare your church greeters for a situation like this? In the comments below, how can you prepare your church greeters for surprise situations? I can remember a training session I had in Dale Carnegie course years ago relating to his book “How to Win Friends and Influence People.” and that strategy is to completely focus on the other person making them the MIP(Most Important Person)and dealing with the details, if needed, later. We need to reach out first. Suggest having your videos having some written narritive as there are deaf folks who go to church and have leadership positions in the church. the video is of no use to them. One of the finest ministers ( Pastors) I ever knew was blind and with a guide dog. We all learned a lot about having working animals in Church. Great idea. I’ll keep that in mind as I move forward. Trying to get as much out as I can.